It was an inevitable announcement that we were waiting for at some point in time. 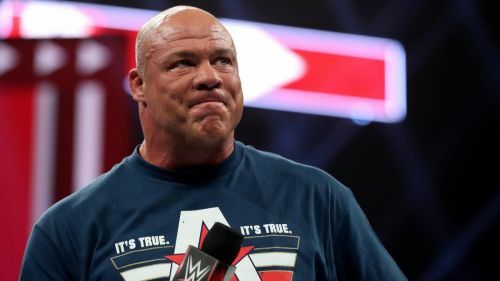 It's well known that Kurt Angle is calling it quits in WWE, but on the latest episode of RAW, he confirmed it himself. He will officially be having farewell match at WrestleMania 35. It's truly sad to see a legend like Kurt Angle go out, but atleast the good news is that he isn't already retired. He will be getting to go out with a bang. Add to the fact that Batista vs Triple H is set to be a retirement match as well, this WrestleMania is most certainly set to be one of the most exciting ones in recent memory. While there are a whole flurry of opponents who Kurt Angle can face in his retirement match. However, many fans are probably wondering why Kurt Angle is calling it quits at this exact juncture of his career. Here's why. Honestly, it's quite surprising that Kurt Angle managed to go as long as he did as a wrestler. Dating back to over a decade and a half ago, Angle has had all sorts of complications with his neck, which eventually resulted in him resorting to pills and wrestling under a tremendous amount of pain. 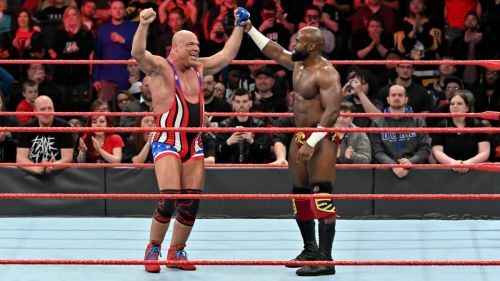 It has been seen in the past few matches that he's had that he isn't the same Kurt Angle anymore. While people certainly don't expect him to be, the toll that its taken on his body has been far worse than expected. His movement is slow and he wrestles as though he's an old shell of himself. Out of respect for his body giving out, he's likely decided that the time for him to wrestle is over, no matter how many opponents he'd like to face.